Weyarn, Germany – April 15, 2014; Leading German backup and disaster recovery software company, SEP AG, today announced its flagship product, SEP sesam, is fully certified with Oracle Linux and Oracle Unbreakable Enterprise Kernel Release 3. 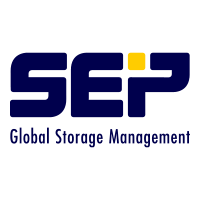 SEP sesam offers its users a single backup and disaster recovery solution for heterogeneous IT environments of any size. This latest certification with Oracle adds to an extensive list of certifications already available for SEP sesam. With Oracle Linux 6.5, Oracle brings the latest Linux innovations to the market, delivering extreme performance, advanced scalability and reliability for business-critical enterprise applications. The Unbreakable Enterprise Kernel Release 3, included in Oracle Linux 6.5, is based on mainline Linux 3.8, which provides a host of scalability and stability improvements, as well as new functionality.